German universities have started an initiative to more effectively build partnerships with North American institutions of higher education and to directly connect with American students and scientists. Several consortia, representing more than 35 renowned individual German universities and universities of applied sciences, have opened liaison offices in New York to expand and deepen academic exchange between the two countries. The liaison offices (Verbindungsbüros) were inaugurated in Spring 2005 with the support of the German Academic Exchange Service (DAAD). Most are located within the building of the German Consulate General in New York City, with additional liaison offices throughout the United States. The UA Ruhr (formerly ConRuhr North America) represents the University Alliance Ruhr (UA Ruhr), consisting of TU Dortmund University, the Ruhr University Bochum and the University of Duisburg-Essen, in North America. With over 100,000 students and over 17,000 faculty, the alliance represents one of the largest and high-performing research locations in Germany. The UA Ruhr New York office supports and facilitates international cooperations between UA Ruhr and partners in North America and assists with the internationalization of UA Ruhr. The office facilitates researcher and student mobility and provides a forum for knowledge and idea exchange virtually and through the organization of workshops and events. Heidelberg University Association Ruprecht-Karls-Universität Heidelberg is one of the top-ranking locations in the world of international science and scholarship. In more than 620 years of higher learning and outstanding innovative research, Germany’s oldest university has become an international synonym for academic excellence. 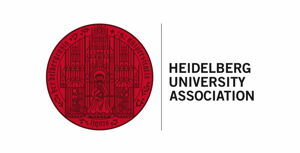 Heidelberg University Association in New York supports Heidelberg University’s strong transatlantic academic co-operations, student and faculty exchange as well as the close ties between Heidelberg and its Alumni in North America. German University Alliance is the North American liaison office of Freie Universität Berlin and Ludwig-Maximilians-Universität München, two of the top ranking excellence universities in Germany. The joint office in New York serves as a vital link between these leading universities and research universities in the United States and Canada by initiating and reinforcing joint research projects, scientific collaborations, seminars, colloquia and conferences. Founded in 2005 as a not for profit organization, German University Alliance promotes academic excellence, supports student and faculty exchange and encourages American scholars and scientists to engage in research at these distinguished universities. It also serves as the point of contact for alumni of both universities in the North American region. 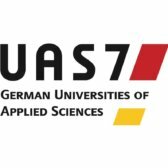 UAS7 is a strategic alliance of seven leading German Universities of Applied Sciences (UAS) committed to excellence in teaching and research and close cooperation with German businesses and industries. UAS7 represents a broad variety of about 600 degree programs at the undergraduate and graduate levels. Our 100,000 students, 4000 full-time faculty members and several thousand part-time lecturers study, teach and research in seven of Germany’s most dynamic cities: Berlin, Bremen, Cologne, Hamburg, Munich, Münster and Osnabrück. UAS7 offers degree programs in the fields of engineering and sciences, business and management, economics, social work, as well as architecture, art and design. The UAS7 Liaison office in New York administers student and faculty exchange programs for UAS7 and North American students (including the UAS7 Study Program (SP),the UAS7 Internship Program (IP) and the Study and Internship Program (SIP)), and promotes Bachelor’s and Master’s degree as well as short-term (summer) programs to students in North America. The University of Cologne (Universität zu Köln), founded in 1388, is a research university at highest level and one of the oldest and largest universities in Europe. The six faculties of UoC have developed internationally outstanding research profiles in a broad variety of fields. Its core mission is to create, preserve and disseminate knowledge, to provide a high level of education and to encourage and support top-level research embedded by a scientific environment of four Max-Planck-Institutes and two further research centers in Cologne. Our New York office reports to the award-winning International Office and helps launch partnerships with North American universities. It organizes delegation visits and serves as a first point of contact for faculty and students in the United States and Canada who are interested in UoC. Finally, it implements the University of Cologne's summer school in New York and reaches out to the University's network of German and international alumni residing in the United States or Canada. Over 25,000 students are currently enrolled at the University of Freiburg, enjoying student life in one of Germany's most beautiful university cities. The University of Freiburg set up Alumni Freiburg to ensure that former students could maintain their academic and personal links with their “old” university even after their studies had ended. The liaison office is a points of contact for former students of all faculties, nationalities and generations. Active and emeritus professors and employees of the university are also part of the alumni community. The aim of Alumni Freiburg is to establish a global alumni network with the university’s some 250,000 former students. Fresenius University of Applied Sciences developed out of the chemical laboratory founded by Carl Remigius Fresenius in 1848 and can look back on more than 160 years of private educational tradition in Germany. It is the oldest educational institution of its kind in the field of chemistry. In the spirit of its founder, the university unites teaching, research and practice. The name Fresenius stands for practice-oriented teaching with closely linked applied research and development. This applies to the traditional department of Chemistry & Biology as well as to the two newly established faculties of Health & Social Affairs and Business & Media in 1997/98, as well as to the new Design Department, which was integrated in 2013. German Higher Education Bridge Inc. is the North American liaison office of Fresenius University of Applied Sciences which has campuses in Berlin, Cologne, Dusseldorf, Frankfurt, Hamburg, Heidelberg, Idstein, Munich and Wiesbaden and a study center in New York City. Inaugurated in 2016, the study center in midtown Manhattan runs integrated semester abroad programs with our institutional partners, administers student and faculty exchange, as well as develops short-term programs for outgoing and incoming students. The Technical University of Munich (TUM) is one of Europe’s top universities. It is committed to excellence in research and teaching, interdisciplinary education and the active promotion of promising young scientists. The university also forges strong links with companies and scientific institutions across the world. The 14 departments of TUM provide an excellent environment for research and for the education of 40,841 students, 35% of them women. TUM was one of the first universities in Germany to be named a University of Excellence. Moreover, TUM regularly ranks among the best European universities in international rankings. TUM’s North America office in San Francisco is one of six liaison offices in addition to Beijing, Brussels, Mumbai, Cairo and São Paulo. Its mission is to promote TUM’s educational, scientific and technological excellence in North America. The office serves as a hub to connect scientists, researchers, entrepreneurs and other stakeholders to facilitate research cooperation and knowledge exchange, and it helps to intensify exchange relationships. It also maintains the relationship between TUM and its alumni across North America. Since its foundation in 1877, TU Darmstadt has played its part in addressing the urgent issues of the future with pioneering achievements and outstanding research and teaching. Technology is at the heart of all our disciplines at TU Darmstadt. The Natural Sciences as well as Social Sciences and Humanities cooperate closely with Engineering. In order to expand its expertise strategically, TU Darmstadt maintains a variety of partnerships with companies and research institutions. Our excellent research has been recognized by multiple grants within the Excellence Initiative. Our graduates enjoy an excellent reputation in the business world. Our outstanding performance makes us one of the leading universities of technology in Germany and has earned us international visibility and renown. In 2019, the Virginia Tech-Technical University of Darmstadt Liaison Office opened in Blacksburg with the mission to strengthen collaboration between two longstanding partners that have worked in various academic capacities for almost two decades.